Dr Megan Jeffers graduated from the University of Queensland with her identical twin sister Dr Rachel [with first class Honours] in 2009. She spent her first few years in Adelaide working in general practice before returning to sunny Queensland to continue her career. 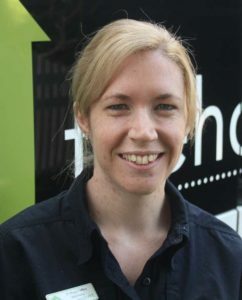 Dr Megan joined the The House Call Vets team in June 2017 and will be treating your pets in the comfort of their homes as well as in the new Kenmore clinic. Dr Megan has a particular interest in diagnostic imaging including ultrasound and xrays. She has worked hard to complete further study in this area and has become a great source of knowledge to her clients and colleagues. She also enjoys small animal medicine with an emphasis on excellent client and patient care. Megan is respected for her attention to detail and the high level of care and concern she shows her clients and their pets. She loves being a mother to her young daughter and caring for her own pet’s “Willow” the Golden Retriever and “Wiley-Kit” the cat.